Actor Harrison Ford visits Build Series to discuss the movie "Blade Runner 2049" at Build Studio on September 27, 2017 in New York City. Some 35 years ago, "Blade Runner" left in a smoky cloud of ambiguity whether Rick Deckard was a replicant, like the androids he hunted. But the verdict on Harrison Ford, whose Deckard returns Friday for "Blade Runner 2049,” couldn't be clearer: Our greatest action hero is also the best at replicating cherished roles. 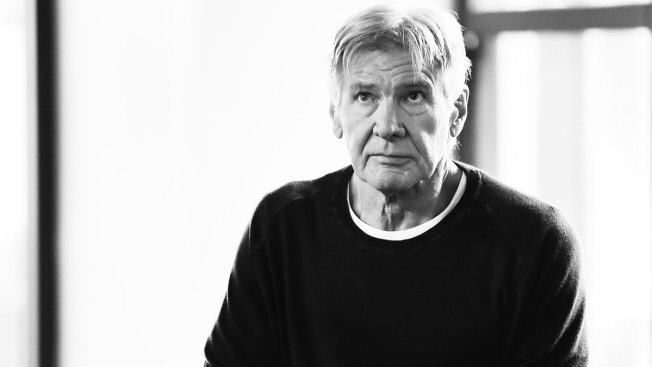 Ford's "Blade Runner" reprise follows his seeming final bow in 2015 as Han Solo in "The Force Awakens," 38 years after the original "Star Wars." Meanwhile, he's due to tackle a fifth and presumably last wild ride as Indiana Jones in 2019 – the setting year of the original "Blade Runner" and 38 years after "Raiders of the Lost Ark." Ford, with every return, extends a pop cultural bridge that spans from long, long ago to a dystopic future not all that far, far away. He's the living, grunting link between generation-crossing franchises spawned by the likes of George Lucas, Steven Spielberg and Ridley Scott. But as with Ford’s iconic adventurers, risk follows him everywhere. The thrill of his "Star Wars" return grew amid the relief that Ford and the movie soared. Early strong reviews for "Blade Runner 2049" bode well for his legacy. Younger performers take on the bulk of the screen time in both films, which strive to capture the very different spirits of the originals. But that formula didn't work as well in 2008's "Indiana Jones and the Kingdom of the Crystal Skull," which largely didn't meet high fan expectations. That only heightens the stakes for the new Indy adventure, to be released around Ford's 77th birthday. Sylvester Stallone carved himself great career bookends with "Rocky" and "Creed," even if many volumes in between sagged. Linda Hamilton and Arnold Schwarzenegger are set for a "Terminator" reunion in 2019, 35 years after he first vowed, "I'll be back." Harrison Ford has lived up to that promise better than any performer, raising new hopes with every potentially final run.